FreeNet Review 2019: Is FreeNet a Good Hosting? Established in 2009, freeNET is a web hosting company based in Slovenia. It offers a complete line of hosting solutions that include shared web hosting and VPS hosting services. freeNET is a web hosting company founded in 2009 in Slovenia. The vendor focuses on providing shared web hosting, VPS hosting, domain name services, and SSL certificate plans in Slovenia and other countries across the globe. It offers its solutions under Parkplac, another hosting vendor. It boasts of over 35,000 customers in Slovenia and beyond. Its data center is located in Slovenia, and its website is only available in Slovenian. freeNET offers a complete line of shared hosting plans. Its basic package is ideal for hosting small enterprises. It includes 2GB disk space, 30GB bandwidth, one MySQL database, unlimited FTP accounts, 30 subdomains, and 20 email accounts. The premium package, on the other hand, comes with 40GB disk space, unlimited FTP accounts, 500GB bandwidth, 400 MySQL databases, 400 subdomains, and 10,000 email accounts. freeNET servers are monitored 24/7/365 to ensure that the system keeps running round the clock and that emerging issues are addressed promptly and effectively. This vendor provides a backup and restore tool, but does not seem to offer any backup services to its customers. freeNET offers SSL certificates as a separate solution that users can buy. Available certificates include GeoTrust SSL and Comodo SSL. freeNET hosting solutions’ good price to features ratio makes it reasonably priced. The vendor offers flexible billing cycles; monthly, quarterly, biannually, annually, and biennially. It also offers incredible discounts of anything from 10% up to 50% for customers who enter into contracts of three months or more. This vendor’s prices are listed in euros and include VAT. freeNET has a 45-day money-back guarantee but does not have a network uptime guarantee. Clients can contact the freeNET technical support team using its ticketing system or support email. Unfortunately, these are the only two means of contacting them as the vendor has no telephone number or live chat. While the vendor does promise 24/7 support, I am sceptical, given that I sent them a support email and never heard back from them. While freeNET has set up a knowledge base, it has very limited information. 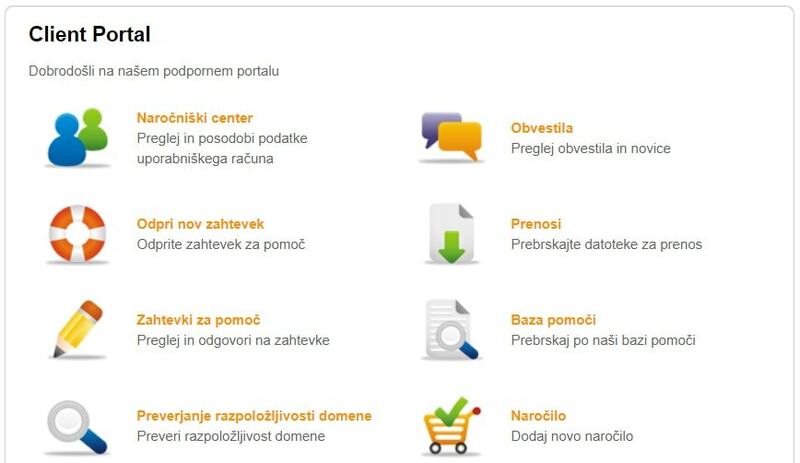 freeNET’s hosting solutions are designed to meet the needs of small and medium-sized businesses in Slovenia and beyond. The vendor’s affordable hosting plans are attractive to many webmasters in Slovenia, but its unresponsive support team is its greatest undoing. Join freeNET’s over 35,000 hosting customers today! Wondering how FreeNet stacks up against other Web Hosting companies? Enter any other Web Hosting company and we will give you a side-by-side comparison.